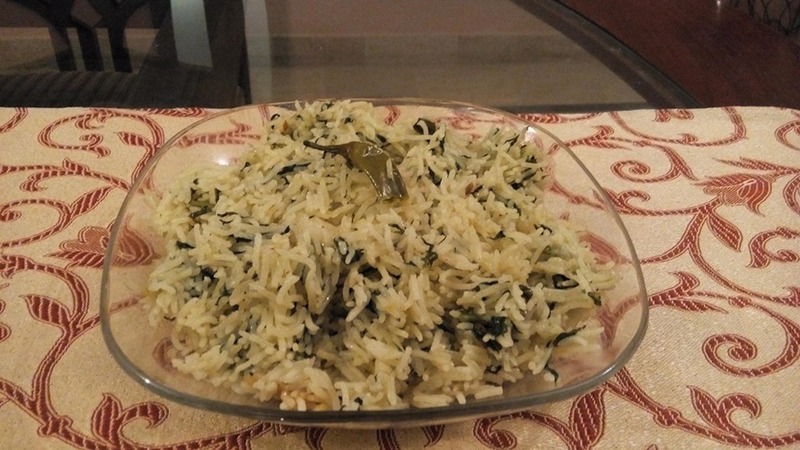 Palak chawal or spinach rice is very healthy and tasty dish. We add some fried palak in rice with some green chilies and this rice tastes really out of this world. Serve these palak chawal or spinach rice with some yogurt dip and that’s it. Spinach is full of iron so it is really healthy and good palak recipe for kids. You can also use canned spinach if fresh spinach is not available. Heat oil in a pan and fry spinach and green chilies in it. Dry it for 3-4 minutes. Add enough water to cook rice in it. Add chicken cubes, salt, cumin seeds and whole spices powder. Add rice in it and cook till water dries up. Put on low flame till ten minutes covered. Serve hot with yogurt dip and salad.